In fifteen American and two Commonwealth cemeteries in Europe and North Africa, 47 Citadel Men rest in peace, and another nine are memorialized on Tablets of the Missing. These men share a special bond - they were members of the South Carolina Corps of Cadets while attending The Citadel, The Military College of South Carolina. Here, we honor and remember them. 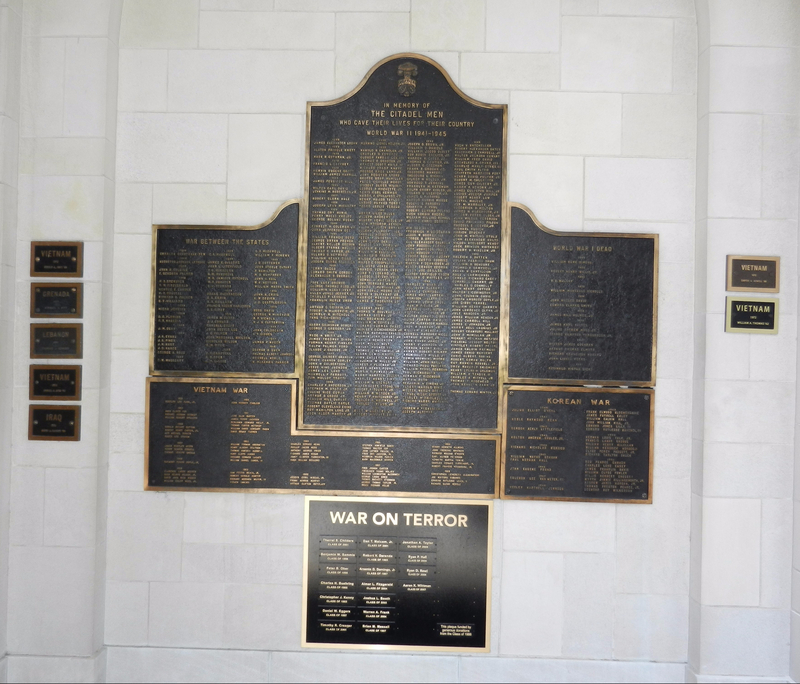 CHARLESTON – The most important event of the Citadel’s annual Homecoming Day celebration will be the ceremony of unveiling a memorial tablet in honor of the Citadel’s war dead. The ceremony will take place at 11:15 Saturday morning in the Cadet Chapel. 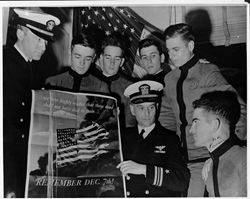 Thomas H. Pope of the class of 1935, speaker of the House of Representatives of South Carolina and candidate for governor, will make the address at the unveiling of the memorial tablet. The memorial tablets as they appeared in 2013. Click on image to enlarge. This article originally appeared in the Alumni News of The Citadel – Summer 2017. It is published here in its entirety with the permission of the Citadel Alumni Association. Photos have been added to this web post which did not appear in the original print version. Cadets enrolled in Professor Kyle Sinisi’s class, History 391: The U.S. in World War I, spent their days of Spring break walking the American Expeditionary Force battlefields in France. Accompanying the class were Board of Visitors member, Col. Myron Harrington, USMC, Ret., ’61, and the director of Daniel Library, Lt. Col. David Goble, SCM, ’69. The group was also fortunate to have Matthew Davenport, critically acclaimed author of First Over There: The Attack on Cantigny, America’s First Battle of World War I, accompany them. Citadel Cadets at the famous Bulldog Fountain near the village of Belleau. It is 23 September, and I have to remember an old friend. 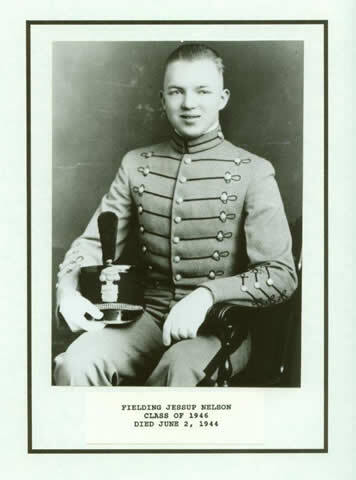 Today would have been the 105th birthday of my old mentor, LTC Melvin Charles Helfers, Citadel Class of 1937. “Melvin came to us our Sophomore year after making an outstanding record at prep school. It did not take him long to acclimate himself and demonstrate his ability. Gold Stars came his first year and a staff captaincy followed in his last year. Always quietly efficient this Chicago lad capably handled the position of Prose Editor of The Shako and has been one of the most valuable members of the Round Table. One of the most brilliant men in the senior class. Melvin plans to teach and we predict his success with no trepidation. My favorite story resulting from the work of The Citadel Memorial Europe over the past five years took place back in June 2014. Probably it is my favorite because it is a tale of action, simple in execution but not without risk, and it is a perfect example of the remarkable character of the Dutch veterans I have come to know and respect. Three years ago, the 70th anniversary of the D-Day landings at Normandy was commemorated with great anticipation and celebration. The preparations by the French people took years. The leaders of the WWII allies were present, the news coverage was complete, and the invasion of veterans, politicians, and celebrants overwhelming.